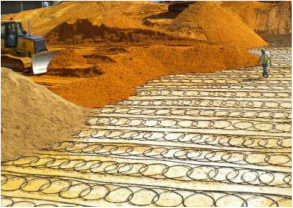 Ground source heat pump (GSHP) systems is the most efficient and reliable technology available to heat and cool a building. Seventy to eighty percent of the energy delivered to your building is free & renewable. Ed Lohrenz is the author of the International Ground Source Heat Pump Association (IGSHPA) Certified GeoExchange Designer course. You can take courses online, in your office or through IGSHPA. Have a system installed 10, 20 or more years ago? Design methodology and tools have improved a lot in that time. GEOptimize will review your building and system and offer recommendations that bring performance up to current standards.